Jackpot, founder of Pure•Bred Music Group, is a New Jersey Native who grow up with an elite zeal for urban music and its culture. After integrating his knowledge of the music, artist development, and the business industry, Jackpot built a lucrative entertainment group to provide the financing, aggressively networked within the entertainment realm, grew a cult following , and built celebrity relationships. By establishing, Pure•Bred headquarters in New Jersey, Atlanta, and Las Vegas, obtaining key team members, and selecting an artist that would depict Pure•Bred sound, persona, and lifestyle. The systemic care within which Jackpot put together Pure•Bred Music Group, and with which he selects his management team and artist proves that he is a leader cut from a different cloth. 4GAuto is the Pure•Bred Music Group's featured artist emerging out of Jersey City, New Jersey. 4G began his tread into music at the age of 17 and was discovered by Jackpot while he was in college. Realizing the propelling opportunities that Jackpot could aid him to obtain, 4GAuto decided to disrupted his college studies to fully commitment to becoming a full-time artist on Pure•Bred Music Group. 4G has a melodic flow over distinctive Hip Hop rhythms and transcends all genre boundaries. His style is fresh, authentic, and mesmerizing. One easily gets lost in 4GAuto's music and time seemingly stands still. X, a William Paterson graduate with a degree in economics, has been fascinated with music since a young age. He realized that his passion for music could be combined with his love for technology. After joining the Pure•Bred Music Group, X has now the opportunity to dedicate his life to the craft for which he is so passionate. X has mastered the art of mixing music and has added the perfect touches to highlight 4GAuto’s unique sound, proving he can hold his own in the industry. SIZZ is a multi-talented engineer from South Orange, NJ. Sizz was attending Columbia College for audio engineer and production, mastering his art. He later decided to focus fully on engineer. 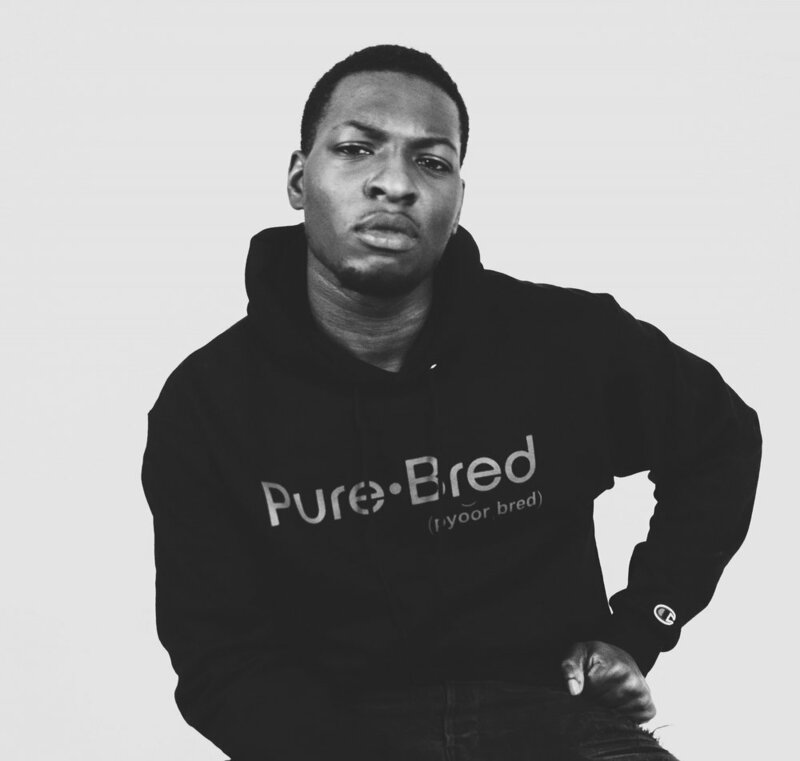 Sizz then connected to with childhood friend and now fellow engineer team member ""X" in 2015, to create and develop their own sound for Pure•Bred featured artist, 4GAuto. Richie Rich has been with the Pure•Bred Music Group since the inception of the label. His ability to capture and edit those unforgettable moments on film is a tremendous boost to Pure•Bred Music Group’s growing social platform. The Orange, New Jersey native began working with the camera right out of high school. His attention to composition, light, and selective details, combined with special transitioning and other editing techniques, bolsters the Group’s messaging and visually conveys the Pure•Bred lifestyle and movement. OJIGYS is a Woodbrige, New Jersey resident discovered by his fellow Pure•Bred team member, Richie Rich in 2013. In his exploration of the art of drawing, OJIGYS discovered that photographer could better capture the objects and now people than through drawing. OJIGYS now muses over 4GAUTO and the Pure•Bred family. Dolla is multi-fasicated creative out of Montclair, New Jersey. Dolla is the web developer for Pure•Bred Music Group and Production. In 2014, the designer create a web platform called "The Dolla Project" which promotes the message of being you with no remorse. Dolla was discovered by Jackpot through miraculous circumstances . She now conveys the Pure•Bred brand through her tech abilities. 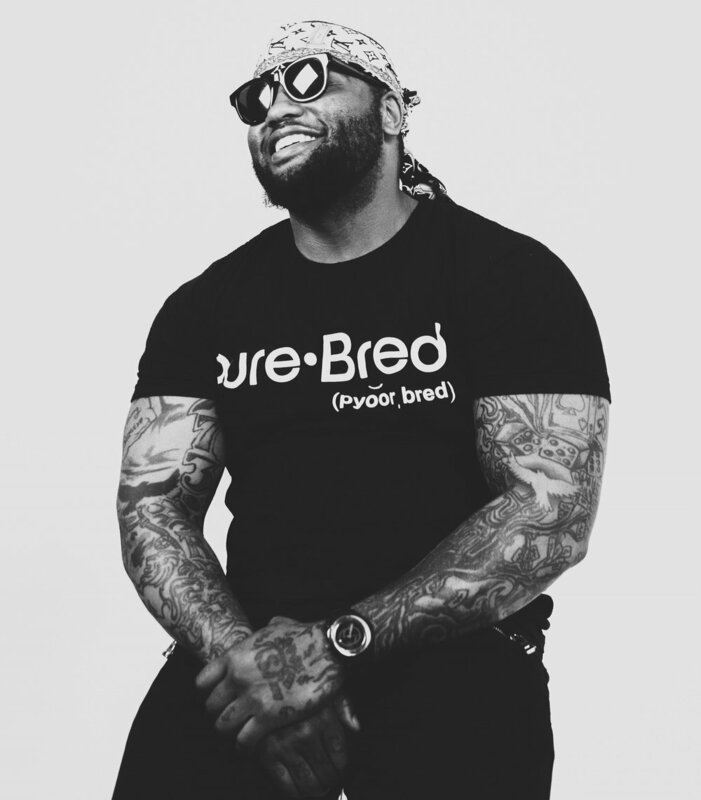 Street ambassador, Big Drip, formerly known as "Skolla Da Don" has seen supporting and putting on for Pure•Bred since the start up of the label. Big Drip's role in the company is represent the Pure•Bred brand and lifestyle by pushing the label merchandise and motto.